Lose Fat While Preserving Muscle. Obesity is now reaching pandemic proportions across much of the world, with an explosion in overweight and obesity in the past 30 years. The January 2014 report from the Overseas Development Institute (ODI) reveals that an alarming one-third of all adults worldwide – 1.46 billion people – are now overweight or obese. Over the same period, obesity rates in high –income countries increased by 1.7 times. It is well recognized that high rates of obesity shorten life expectancy and lead to serious health conditions such as diabetes, high blood pressure, coronary heart disease, stroke, obstructive sleep apnea and some cancers. The World Health Organization (WHO) reports that at least 2.8 million people die each year as a result of being overweight or obese. The impact of obesity is wide –reaching and is associated with low self-esteem, depression, poor quality of life and much more. On a personal note, have you struggled with weight? Tried every known popular weight loss diet? Been vigilant in your exercise and meticulous in your diet with no success? Feel like you are trying real hard, running fast but getting nowhere in your weight loss attempt? Weight loss can seem like a frustrating, challenging uphill battle. It is most important that you don’t give up and seek the guidance of a knowledgeable physician because weight loss is NOT as simple as “calories in, calories out”. Although it is certainly a part of the puzzle, it is not the whole answer. Excess weight may be caused by many factors including, but not limited to, genetics, hormonal imbalance, slow metabolism, a manifestation of excess stress, emotional eating, sedentary lifestyle, poor food choices, poor sleep, uncontrollable food cravings, food sensitivities, inadequate portion control. For some, It can be a daunting task trying to figure out why successful weight loss eludes them. Just as there are many different factors that may contribute to excess weight and weight loss resistance, there are many different approaches to successful weight loss. The foundation of a sound weight loss program is a strong personal desire for a positive change, making healthy food choices , eating the colors of the rainbow, moderate exercise (recent studies show that too much exercise could be as bad as none at all), managing stress and identifying any underlying root causes that may contribute to the excess weight. At the ChinQuee Center, we are pleased to announce the addition of the HCG protocol to our armamentarium of medical weight loss programs. Dr. ChinQuee believes the HCG Protocol is not for everyone and each weight loss program should be individualized and tailored to each patient, their history and their degree of readiness to make healthier lifestyle changes. 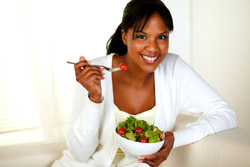 Ultimately the key focus, after achieving the initial weight loss, is to maintain that weight loss for years to come. The focus on maintenance is about adopting a healthy eating plan and physical activity habits long-term for a healthier lifestyle. At The ChinQuee Center, we work with our patients to empower and support them in this endeavor. HCG stands for Human Chorionic Gonadotropin, a natural hormone produced during pregnancy that reportedly causes the body to release stored fat as fuel, from difficult target areas, while preserving lean muscle mass, strengthening metabolism over time and without causing feelings of tiredness or hunger. The HCG protocol is a physician-supervised program that involves the daily injection of low-dose prescription HCG with a very low 500 calorie-a-day diet. The HCG Protocol works for both men and women. This protocol was originally developed by A.T.W Simeons, MD and outlined in his “Pounds and Inches” manuscript, written in 1954. He proposed that his HCG Protocol would cause weight loss and reduce inches by mobilizing abnormal fat stores from upper arms, neck, bellies and thighs. The HCG Diet Protocol was formulated for the rich and famous of Europe nearly 60 years ago. Following a protocol by Dr Simeons, his patients reportedly had enormous success for the treatment of obesity with dramatic weight loss, up to a pound a day. The HCG Protocol is not immune to controversy. Medical experts are mixed, with supporters and skeptics on either side about whether HCG works or not, though the diet continues to increase in popularity. I do admit, I began as a skeptic, but after extensive reading on the subject matter, attending medical conferences, observing colleagues, friends, patients achieve significant change in their body composition and weight-related conditions ( high blood pressure, insulin resistance, diabetes, elevated cholesterol) while maintaining the weight loss for over a year or more, it was difficult not to be on the side of the supporters. It fell in disfavor in the late 1970s when studies failed to show how HCG worked to help with weight loss. It is important to note, you cannot take HCG alone and lose weight. Also Calorie Restriction alone with 500 calories per day for weight loss would eventually backfire as your body would go into starvation mode and would force the body to retrieve nutrients from fat stores as well as from muscle; it would certainly lead to loss of weight but would also lead to hunger, energy crashes, weakness, irritability, loss of muscle, slowing of the metabolism and storing of additional fat. And a great likelihood of quickly regaining all the lost weight and more within months upon discontinuing the diet. Yet scores of women and men say the combination of the prescription HCG with the very low calorie diet has provided successful weight loss for them with minimal hunger, good energy levels and the majority keep the weight off. 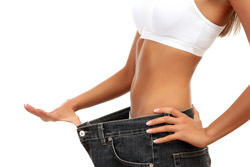 For those who do gain some weight back after the HCG Protocol, they do not go back to their original start weight. What is the theory behind HCG for weight loss? A brief summary explanation as to why the HCG Protocol is effective is that the body can lose weight fairly quickly and safely (under medical supervision) while consuming only 500 calories per day because the small quantities of HCG combined with the diet allow it to live off the excess fat stores – for energy; your body is operating on thousands of calories a day, with minimal hunger, while muscle mass is retained. On the diet, patients can choose from chicken breast, turkey, and select fish along with fruit and vegetables at certain times per day. More recent clinical research trials offer that HCG injections indeed do work for weight loss. The current thinking is that HCG does not make you lose weight, the calorie-restricted diet makes you lose weight but what the HCG injections change is how you lose weight. Patients report losing weight and losing inches without feeling hungry. HCG being a pro-hormone helps the body make other hormones. By elevating hormone levels in the body, including testosterone, HCG injections keep you in a muscle-building state while preventing muscle-breakdown. As we get older, we tend to lose muscle, gain fat and our metabolism slows. Maintaining or increasing muscle is one of the keys to staying thin and increasing longevity. Muscle is known to increase metabolic rate and burn fuel at rest. A pound of muscle, at rest, burns about 6 calories and a pound of fat burns about 2 calories. The more muscle you have, the higher your resting metabolic rate. 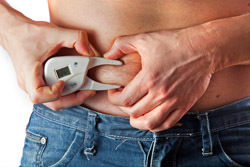 HCG may help in this regard by preserving muscle mass and thus increasing your metabolic rate. It is no secret that most people who go on a diet and are successful in losing weight end up regaining the weight and then some within a year. Yet patients who use the injectable HCG report that they are maintaining their weight loss long after their HCG Protocol is completed and this may explain why advocates call it a “re-set” of the metabolism. Proponents of the HCG Protocol offer that prescription injectable HCG tricks the body into burning fat more efficiently. It helps to stimulate the hypothalamus ( the brain center that directs a multitude of functions in the body), in order to release the abnormal fat and thereby pull nutrients and calories from the fat stores to nourish the body. The body preserves its lean muscle mass in favor of burning the excess body fat as fuel for energy. Hunger cravings relate to the body’s need for energy. The fat stores reportedly will release a minimum of 1300-1500 calories a day to maintain all normal bodily functions and meet its energy requirements; in addition to that, you are eating 500 calories a day and this could partly explain why patients on the injectable HCG Protocol report reduced appetite, decreased food cravings, increased energy all without lean muscle loss. 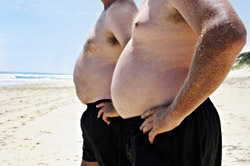 It is also known that appetite and body fat are under the hormonal control of 2 other big players, Leptin and Ghrelin. Leptin is an appetite suppressor as it decreases hunger. Ghrelin is an appetite increaser as it increases hunger. There is a complex interplay between both as they activate your hypothalamus to help the body maintain homeostasis and stay in balance. So, another consideration is that HCG, through the stimulation of the hormone leptin (appetite suppressor) prevents symptoms of starvation while on a very low 500-calorie-a-day diet. This could help account for why patients report reduced appetite and decreased food cravings despite eating so few calories. After doing a show last year on the HCG diet, Dr. Oz challenged the physicians that prescribed HCG to do more research. Dr. Oz says there is still no evidence that HCG droplets work; he has seen evidence only in support of the injectable prescription drug. HCG Injections vs HCG Drops? HCG injections are known to be more effective with weight loss than oral (by mouth) HCG drops, pellets and sprays found online and in some retail stores. Researchers, upon doing blood hormone analysis, reported HCG levels that were undetectable in the bloodstream of patients, thereby concluding that it is not absorbed by mouth. HCG is federally – regulated and NOT approved for over-the-counter sale for any purpose. The FDA ruled that over-the-counter, oral homeopathic HCG is illegal. It is important to note that HCG is FDA-approved for fertility treatments, not for weight loss. Doctors, however, can prescribe HCG legally for an “off-label” use. The clinical researchers state that prescription HCG is the only proven method of taking HCG at this time and that injectable HCG should only be taken with a prescription from a doctor, and under medical supervision. How much HCG would I take during the HCG Protocol? It is important to note, women’s bodies produce extremely high amounts of HCG when pregnant, as much as 1,000,000 units per day without any untoward effect. The FDA approves HCG for the treatment of fertility in women at doses of 5,000-10,000 units. For treatment of male hypogonadism ( a condition in which the body doesn’t produce enough testosterone), FDA approves HCG at doses of 1,000 to 2,250 units two to three times weekly for several weeks. The HCG Diet Protocol uses a small fraction of this amount in dosages from 125 to 250 units per day when combined with the 500 calorie diet. Am I a candidate for the HCG Protocol? First, A consultation to discuss your needs and concerns along with a comprehensive medical assessment including history and physical examination with review of lab tests by Dr. ChinQuee will help determine if you are an appropriate candidate for this physician-supervised weight loss protocol. If your diagnostic laboratory test results are not current – within 6 months – you may need new tests. If it is determined that there may be other underlying root causes which may contribute to your weight gain, Dr. ChinQuee will recommend additional testing for you. This is not a one-size-fits all or even a do-it-yourself regimen. It is important to have the guidance and assistance of a knowledgeable physician. 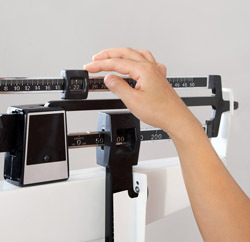 If it is determined that you are a candidate, metabolic testing, EKG, body composition analysis (which includes body fat, fat free mass, total body water, BMI, height , weight ), blood pressure, heart rate, body measurements and discreet “before” photo will be performed to document your progress. Your individualized treatment protocol is medically monitored weekly to track your progress and adjusted as needed. You would be supplied with pre-filled HCG syringes and taught by Dr. ChinQuee how to apply the injections yourself. 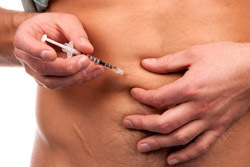 The needle injections are relatively painless and are the same tiny needles used for insulin injections. Patients usually easily pick up on this technique. If you are considering the HCG Protocol, call to schedule your Consultation with Dr. ChinQuee.